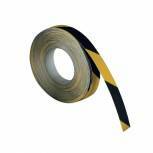 VFM Black /Yellow Self-Adhesive Anti-Slip Tape 50mmx18.3m 317720 Pack of 1 Durable, easy to apply anti-slip tape. 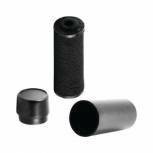 Abrasive surface provides extreme grip performance. Resistant to oil, detergents, solvents, UV light and all weather conditions. W50mm x L18.3m. Colour: Black/Yellow. Non returnable. 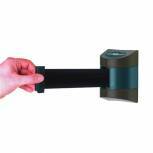 Barrier 4.6m Fully Retractable Wall Unit Black 309837 Pack of 1 Use independently or in conjunction with any Tensator post. Black moulded plastic body. 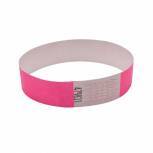 Length 4.6m. 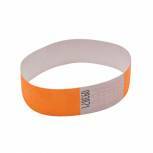 Black belt. Non returnable. 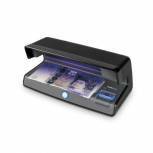 Safescan 70 UV Counterfeit Detector With White Light Area 131-0398 Pack of 1 Safescan Counterfeit Detector UV70. Black. Automatic on/off sensor. Suitable for all currencies. Verifies credit cards, passports and other ID's. Power: AC adaptor included. 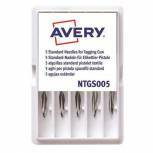 Avery Dennison Tagging Needles Plastic Standard (Pack of 5) 05012 Pack of 1 Replacement needles for tagging. Renews performance of your tagging gun. 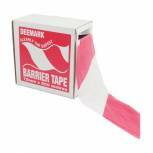 Compatible with Avery Tagging Gun Mark 3. Plastic base for medium duty use. 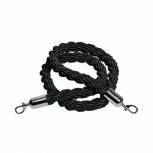 Length: 35mm. Pack of 5 needles. 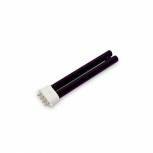 Avery Replacement Ink Roller (Pack of 5) Black CASIR5 Pack of 1 Suitable for all Mark II Avery one line, two line and alpha/numeric two line hand labelling guns. Practical and designed to boost efficiency. Colour: black. 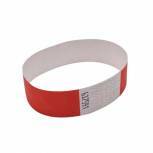 Pack of 5..
Avery Dennison Ticket Attachments 20mm (Pack of 5000) 02121 Pack of 1 The worlds leading brand of ticket attachments renowned for their quality. Packed in boxes of 5000. 20mm. 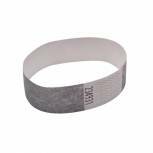 Avery Dennison Ticket Attachments 40mm (Pack of 5000) 02141 Pack of 1 The worlds leading brand of ticket attachments renowned for their quality. Packed in boxes of 5000. 40mm. 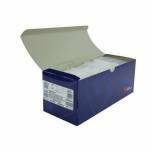 Avery Dennison Tagging Gun Standard Mk3 01031 Pack of 1 Fast trigger action requires one squeeze to attach tab. Reliable simple mechanism lasts for years. Fires both 50 and 100/clip fasteners. Safe new ergonomic design to reduce RSI. Needle hood for when needle is not in use. 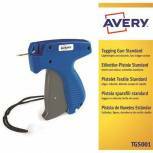 Avery Single Line Pricing Gun HL0008 Pack of 1 Avery Single Line Pricing Gun. Robust, easy to load one line hand labeller suitable for numerous applications including pricing and data coding. Will print up to ?999.99 and has eight numeric characters. 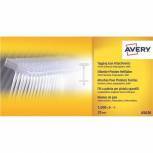 Avery Two-Line Labeller Black HL0018 Pack of 1 Avery Two Line Hand Labeller. 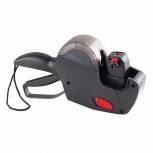 Useful hand held labeller for coding and pricing. Features 10-digits on the top line, 8-numeric characters on the bottom line. 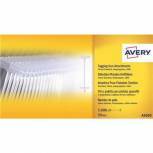 Avery Dennison Ticket Attachments 65mm (Pack of 5000) 02161 Pack of 1 Avery Ticket Attachments 02161. 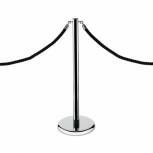 The worlds leading brand of ticket attachment, renowned for their quality. Packed in boxes of 5000. Size: 65mm.